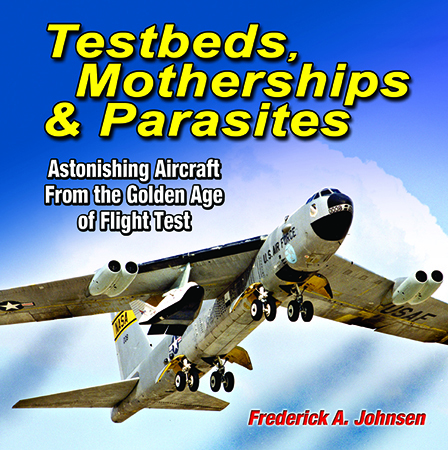 Testbeds, Motherships & Parasites by Frederick A. Johnsen recaps "Astonishing Aircraft From the Golden Age of Flight Test". And earlier. In some cases, much earlier. Johnsen has penned an excellent, entertaining introduction to his subjects. But as the author admits, his "review … can only wet the appetite for even more". Take up the challenge. Make this informative effort your launchpad to history's spellbinding saga of "testbeds, motherships and parasites".